Jpark Island Resort & Waterpark. 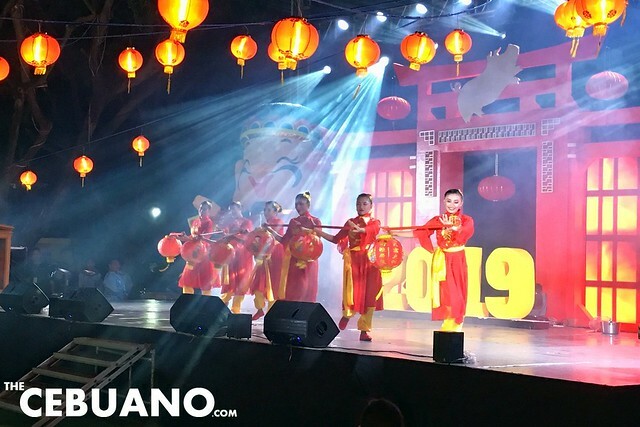 Cebu, the only 5-star premier water park in the country, welcomed the Chinese New Year with a bang by hosting a well-planned, lavish, and beautiful celebration last January 31, 2019. 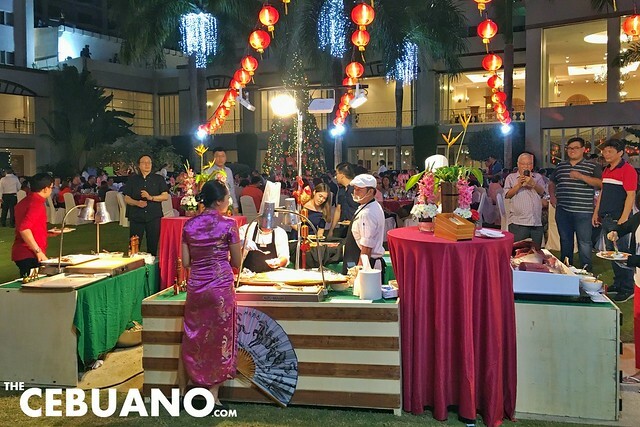 The event, which was attended by some of the biggest names in Cebu and Mactan, featured amazing musical performances, awe-inspiring traditional rituals, a rousing oriental and international buffet spread, a wonderful 10-minute fireworks displays, and a whole lot more! 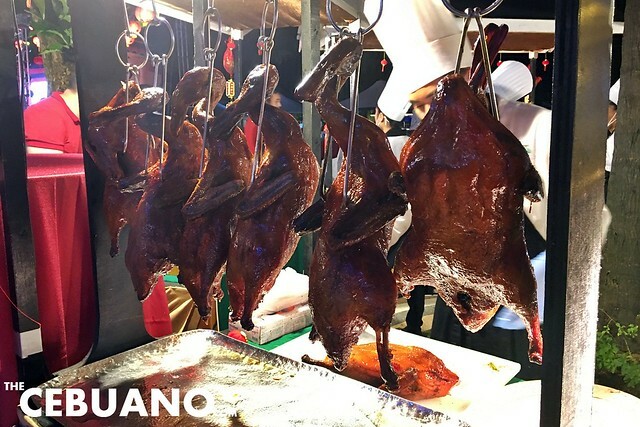 Missed the grand event? 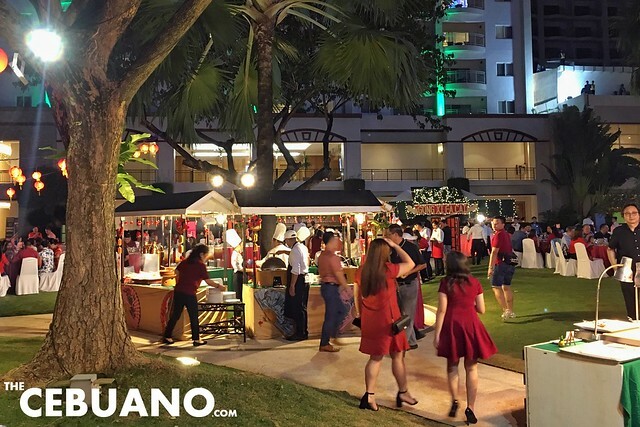 Check out some of the scenes from the stylish and glamorous celebration below in this edition of TheCebuano IN PHOTOS! 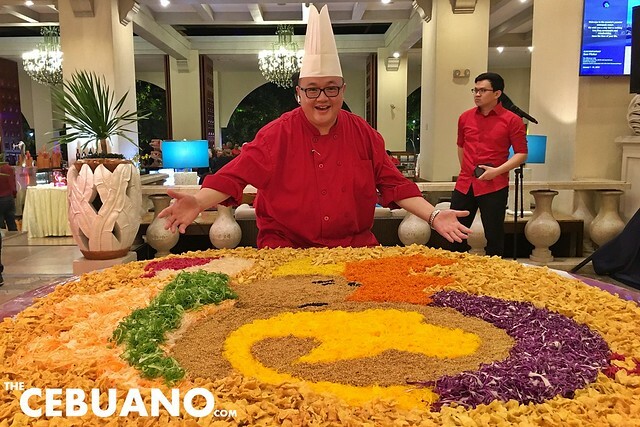 JPark Island Resort and Waterpark’s Malaysian-Chinese Chef Kenny Yong poses with the Yee Sang spread before the start of the event. Lapu-Lapu City Mayor Paz Radaza, together with other special guests, perform the eye-dotting ceremony by putting a ‘dot’ on the painted dragons. 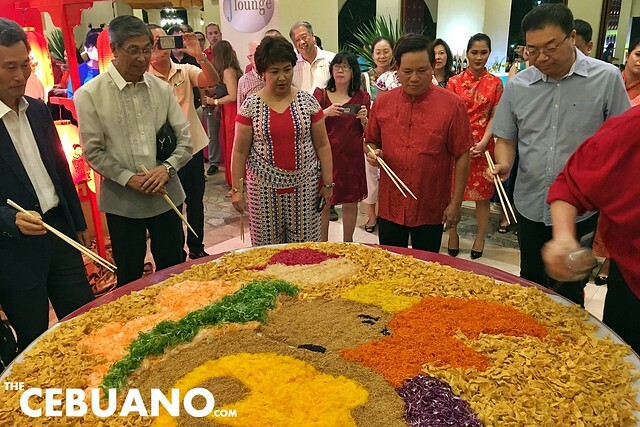 The special guests prepare for the tossing of the Yee Sang. 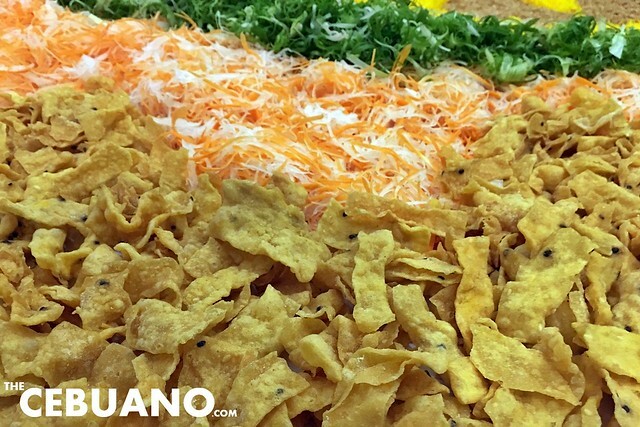 The Yee Sang is a Cantonese-style raw-fish salad which is never absent in Chinese Lunar new year celebrations. 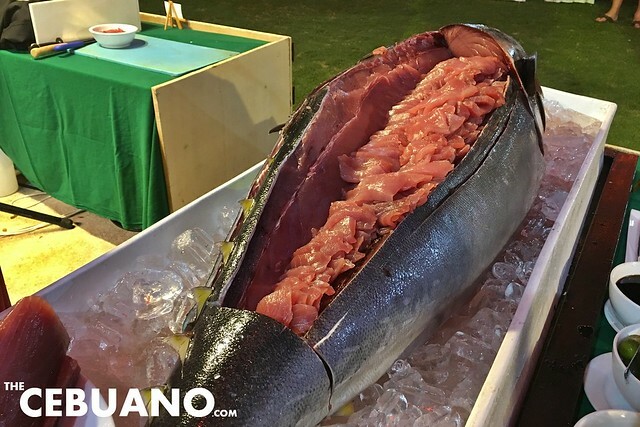 The salad consists of strips of raw fish, shredded vegetables, various sauces, and more! 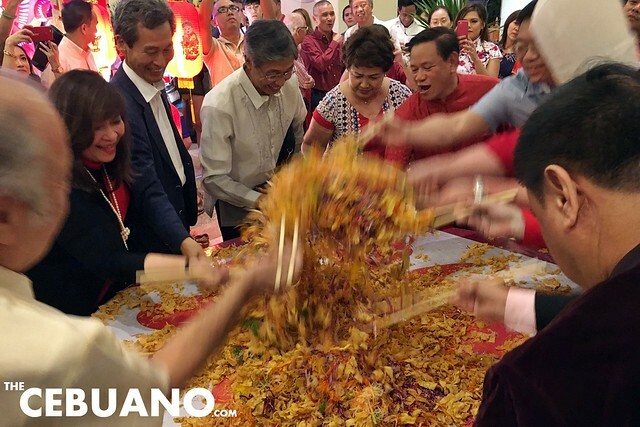 The special guests toss the Yee Sang. 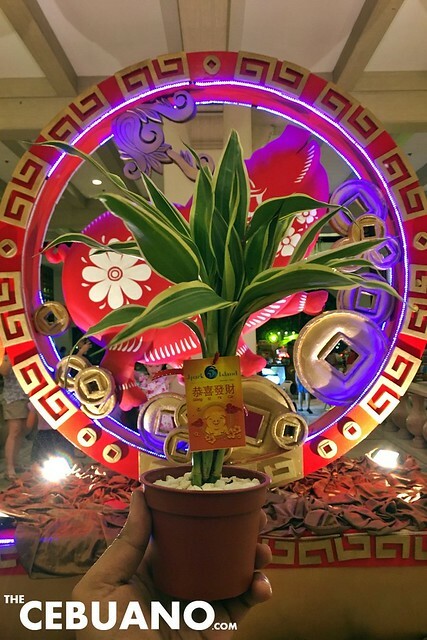 The tossing of the Yee Sang is a special ceremony which is performed during New Year’s celebration. 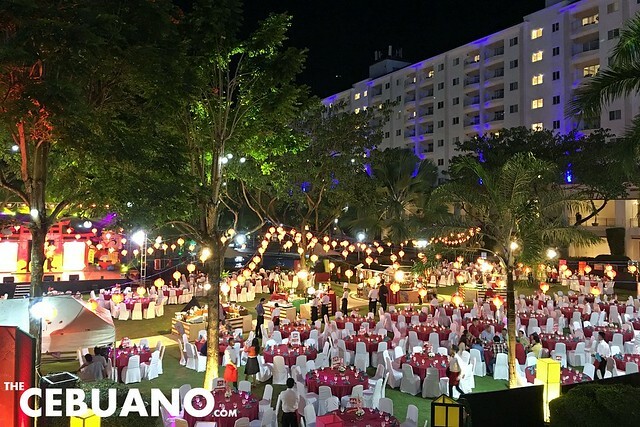 After the ceremonies and rituals, guests were led to the resort’s central garden which had been transformed into a gorgeous dining hall just for the occasion. 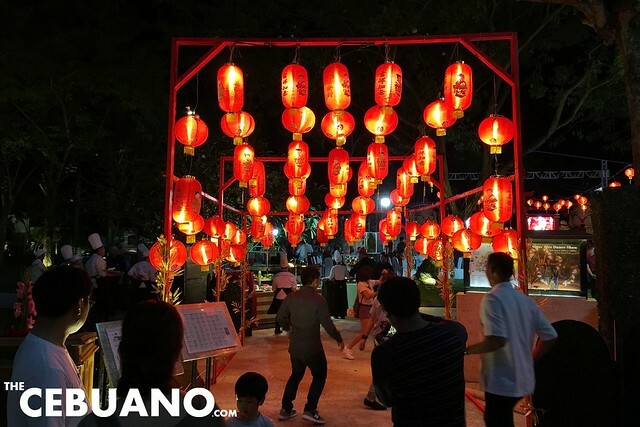 The ‘lantern walk’ is especially popular among guests because of its wonderful look and set-up. 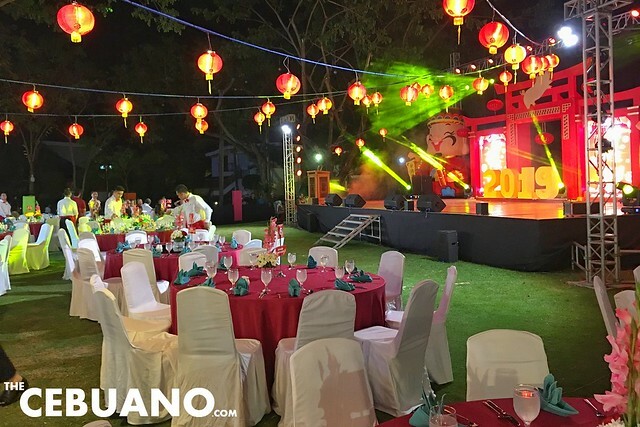 An elaborate and well-designed stage was also set up right in front of the dining area. 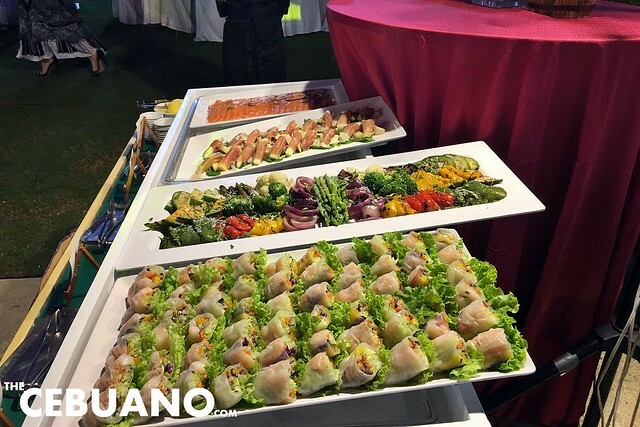 Different buffet stations were set up in various parts of the dining area. The wonderfully-set-up dining area allowed guests to approach stations with ease. Each station was also manned by at least two members of the staff. 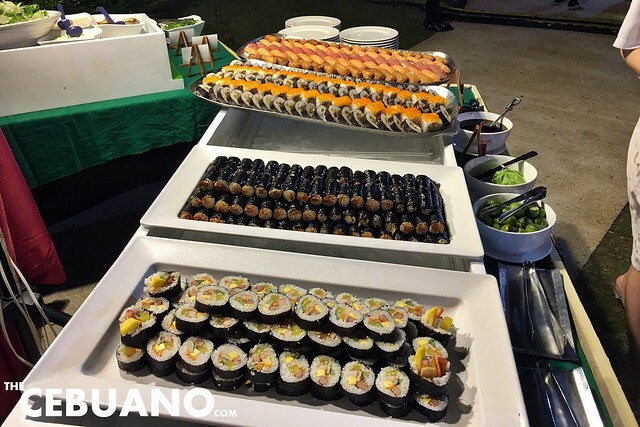 The buffet spread consisted of oriental selections as well as well-loved Filipino and international dishes. A series of well-planned dance and musical performances kept guests entertained during the whole event.